State-of-the-art infrastructure and technological services are offered for investigators to perform experiments across the spectrum of models. 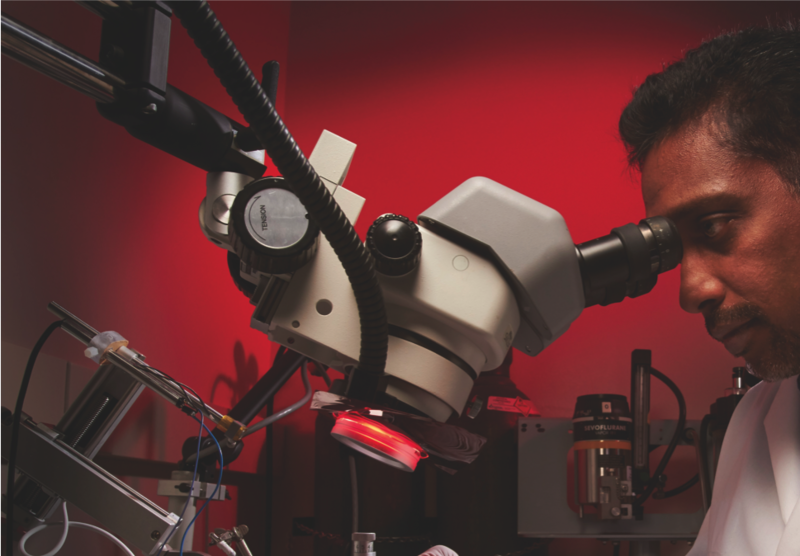 Offer multidisciplinary translational research to test novel medical devices and therapies, surgeons have unique access to specialized surgical microscopes and general anesthesia equipment. Bausch & Lomb Sterllaris PC surgical System is a state-of-the-art platform that allows surgeon to perform both vitreoretinal and cataract surgery. Surgical services are offered for ophthalmic, neurosurgery, orthopedic and head and neck. *Rates/Fees are reviewed by USC Office of Financial Analysis and are subject to change. Please contact the Core manager if you have any questions or would like additional information.